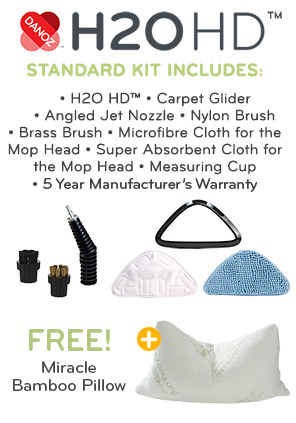 Make Cleaning Your Entire Home Quicker and Easier Than Ever. 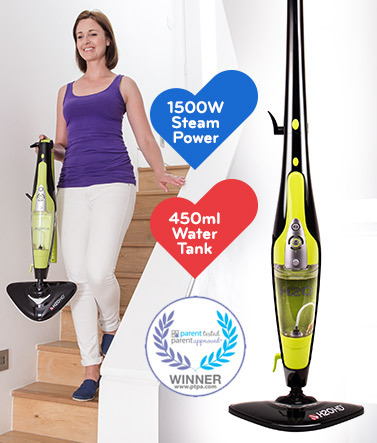 Advanced steam cleaner that cleans up dirt and liquids from sealed hard floors or carpets with the power of steam. 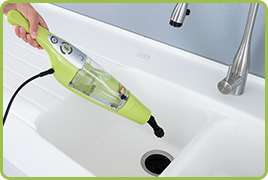 Take your steam cleaning to the next level with the H2O HD™ Steam Cleaner from Thane®. 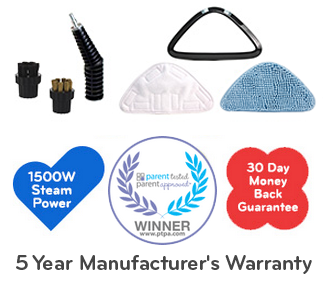 From the makers of the award winning H2O X5® Steam Cleaner, this High Definition steam cleaning system will make cleaning your entire home quicker and easier than ever. 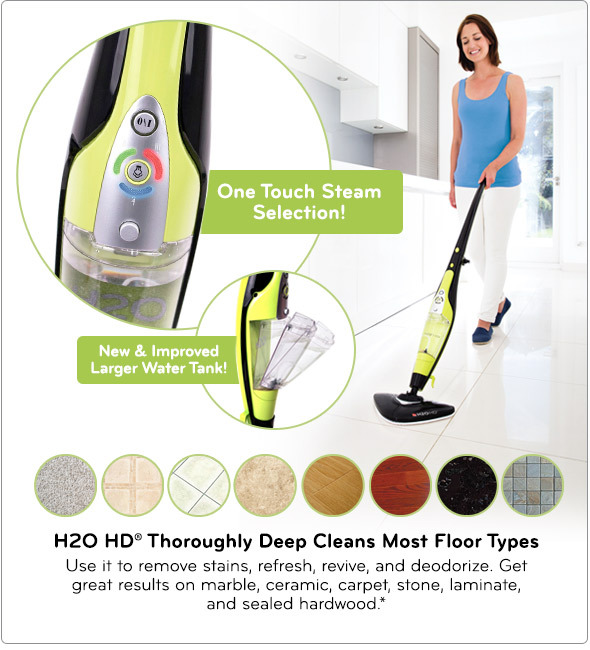 The H2O HD™ is the powerful, multi-function steam system that cleans and helps sanitize your entire home easier and quicker than ever with just one machine. 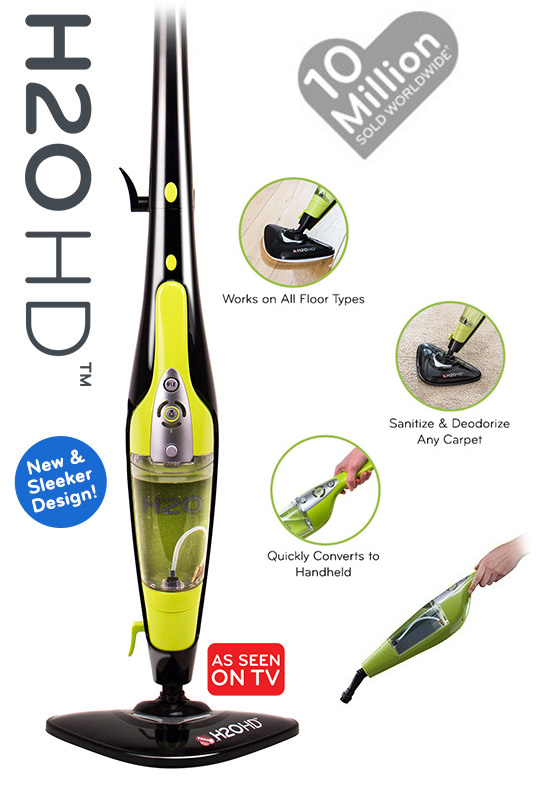 H2O HD™ uses ordinary tap water and turns it into super-heated steam to help sanitize and deodorize. No more ironing! 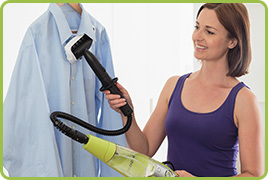 With the Garment Steamer attachment, wrinkles fall out, creases melt away and your garments will be fresh and ready to wear. Clean and kill germs without chemicals. Clean even hard to reach places effectively. Comes with the Jet Nozzle and Nylon Brush for maximum versatility. Use it to clean your windows. 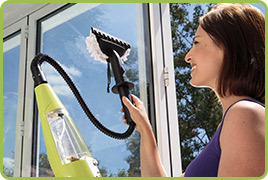 Mirrors, glass, windows, and chrome get a streak-free clean with the Window Cleaning attachment. The New & Improved 5 in 1 Mop! "You can clean your floors, you can clean your stove, and also you can clean your tiles." "It's got a nylon brush that is amazing. Use all around the handles of the sink, the drain. You can even use it in the grout. 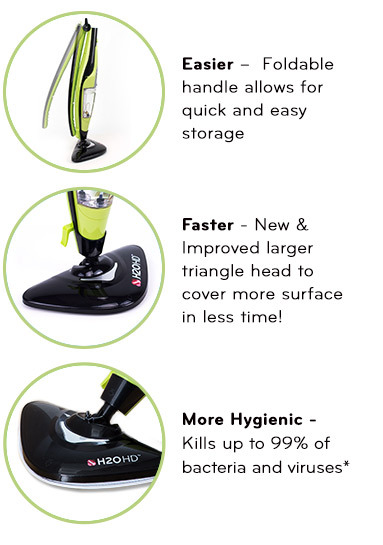 The H2O HD™ makes my life so much easier." I loved the fact that you could easily detach it. It was really light and really got the mess cleaned up fast." * Not suitable for use on unsealed wood or unsealed laminate flooring. Always test on an inconspicuous area before steam cleaning a larger area. H2O HD™ and associated logos and variations are trademarks or registered trademarks, in the U.S. and/or other countries, of Thane International, Inc. and/or its subsidiaries.